Faced with the growing number of online trademark infringements, SafeBrands has developed a full range of monitoring and analysis products which will help you protect your rights by alerting you in real time of any fraudulent usage. Our automated solutions use the exclusive technology developped by SafeBrands R&D, to monitor all TLDs, including IDN domains. Benefit from the experience of our specialist intellectual property lawyers, who will analyze your results in order to find the most suitable solution for your previously-agreed strategy. Clear and usable results are sent to you by e-mail, and are archived in your dedicated Extranet account for comprehensive tracking. Our automated systems detect domains containing the monitored term for gTLDs (.com/.net/.org) and country code TLDs (ccTLDs). They also work with accents and alphabets other than the Latin alphabet (IDNs), as well as typos or alternative visual or phonetic spellings. 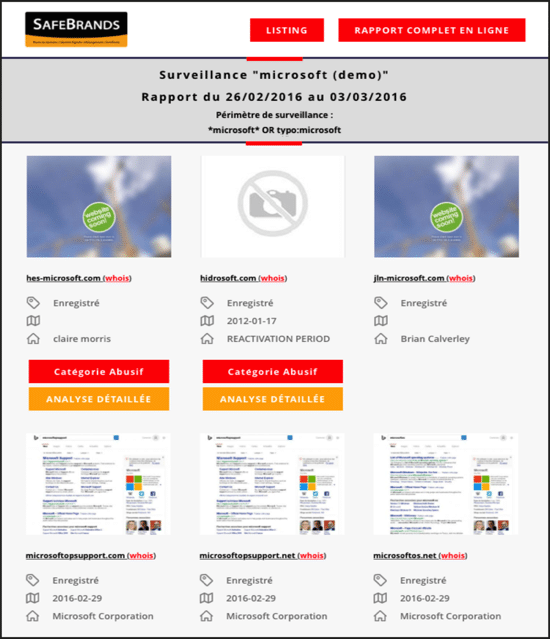 The reports produced include domain names that are at the deletion stage. The results are linked to our back order system, enabling you to recover expired domains linked to your trademarks at a minimal cost. Whether you are using domain names as a business intelligence tool or simply to clarify which domains your company owns, this service provides you with a comprehensive list of all domain names held by the same owner. The purpose of our methodology is to provide controlled protection. We provide support from the outset and help you to set up your monitoring services. 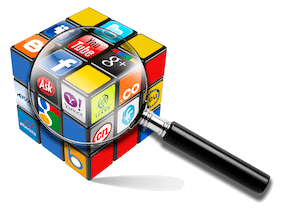 Our lawyers will prepare and provide an optimized search strategy to identify contentious results. This so-called ‘stabilized’ approach limits the huge numbers of ‘big data’ results, and provides quick, effective and personalized data processing. can manage on your behalf). Follow up & organize : Personalize your results by sorting, filing or classifying the risk level of the detected domain names. Protect : Access to the mail servers attached to the domain names to identify phishing. Archive & share : Generate your own reports and choose the time period and file format (PDF or Excel). 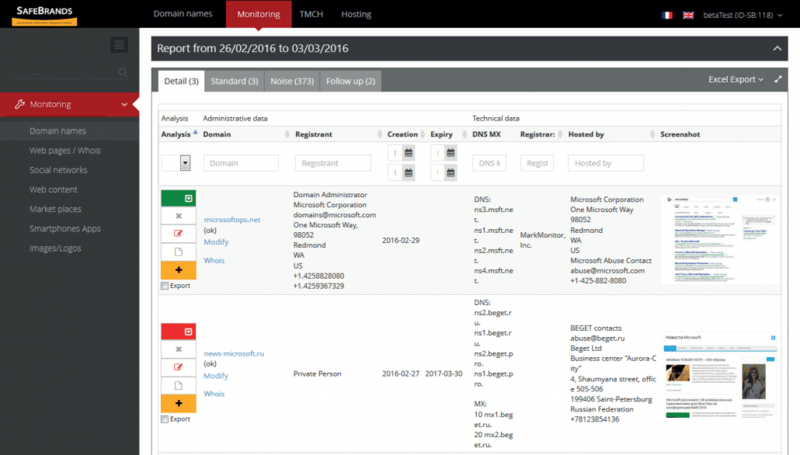 Analyze : Access to comprehensive results, including Whois data for each domain name, the website hosting provider, and a timestamped screenshot of the homepage. Broaden your alerts : Set up additional monitoring on a detected domain name for any subsequent changes to Whois data (owner, creation and expiration dates, etc. ), and to web page content. There are also advanced options available (use of website, forged page title etc.) that are very handy for the tracking of multiple domains (e.g. for law firms, major group holdings), and also provide information on whether the domain holder has previously been involved in a UDRP or WIPO procedure.